The Jan Kubelik Society was established in Prague in 1990. Its founding members include Jan Kubelik's son, the world famous conductor Rafael Kubelik, and his daughter Anita Kubelikova. 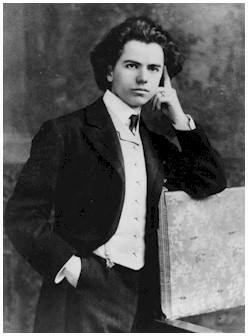 The Society focuses on promoting the work of the famous violinist and composer; in particular, the publication of his gramophone recordings and the presentation of Jan Kubelik's works as part of the concert repertoire. 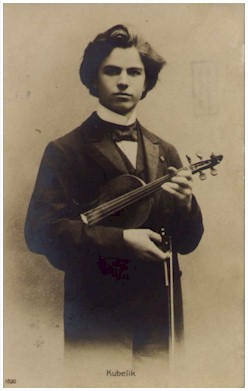 The Society is involved in publishing, the organization of concerts and archive research, and endeavours to preserve the legacy of other famous Czech violinists from the past. 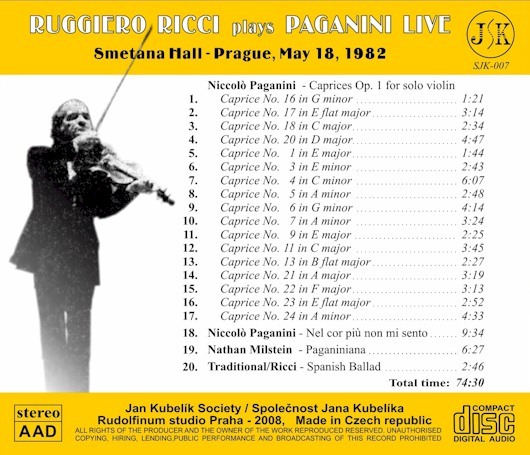 The CD "Ruggiero Ricci Plays Paganini Live" presents the solo recital of Ruggiero Ricci at the Prague Spring Festival in 1982.